Not only do Hot Stones Penetrate our muscles deeply and soften them for amazing results, (with less work for the therapist), but also keep in mind that the Stones are ancient; have been around for a long time; have been molded into unique shapes and bring a Mother Earth Quality into our sessions. Reconnecting with nature is a must for us and Hot Stones is one way to tap into that source. 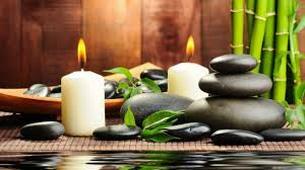 You will learn how to give a full 90 minute Hot Stones Massage including finger and toe stones. You will give and receive a full treatment during class, TWICE; on Day 1 & Day 2. This is a very experiential class and is kept very small for one-on-one instruction.